The POA assessment process, the process of gathering and reporting data for the CMS Core process of care and HCAHPS measures, development and implementation of EMRs and other quality management technology, orgainizational additions to develop and implement evidence-based physician orders and clinical pathways… and many other measures that hospitals are undertaking to address the national quality and patient safety improvement imperative have undoubtedly added to their cost structure. But I have seen and been involved in some success stories related to these activities. At one client, pneumonia mortality declined 50%, and medicare length of stay decreased nearly 2 days (saving a significant amount of cost without impacting reimbursement.) At another client, during the first week of implementation of an eICU, two “near misses” were prevented. At another, hospital acquired conditions that added an average of $3,500 the the cost of each case that happened, and processes were put in place that reduced them dramatically. Another health system grew market share by over 5 points in two years after declaring an all out Quality Revolution and competing publicly on the basis of demonstrably better quality and patient service. When done properly, the investment in quality and patient safety can have a positive ROI! If you haven’t already, maybe it would be interesting to challenge your management team to identify quality gaps that are costing you money and market share (every hospital has them.) For example I recently saw research conducted in one Midwestern hospital where they identified that the average cost to treat a catheter related blood stream infection was $91,000, whereas the average reimbursement was about $67,000 – an operational loss of $24,000. As of Oct. 1, 2008, reimbursement will be zero. And the CDC estimates that there were nearly 30,000 such cases in 1996! I bet you can find ways to move the needle on quality AND your bottom line. Good luck! Hi – I was steered here by Paul Levy’s mention of your book on the RunningAHospital blog. This post initially caught my eye because I’m involved in competitive barbershop singing, and my particular chapter is in the throes of changing to a more competitive orientation with a similar effect on number of active members. Meanwhile, although I’m pretty new to the subject (just this year), I’ve become an avid learner about transforming healthcare. (I had a wild ride with grade 4 stage 4 renal cell carcinoma last year, started dismal, had high-dosage Interleuken, emerged essentially all better in six months, though the cancer did break my femur before we stopped it.) Once it was over I learned that my primary is a member of the e-Patient Working Group, and by March I’d become a member. I work in high tech, I’m a blogger, I’m an avid amateur process geek. So I see this through lots of lenses. Your band picture caught my eye, but now I’m trying to weave the rest of your post into my thinking about all this, and into what I’ve learned on Levy’s blog. Lots to manage. Are you saying that by trying to go for quality, we’re going to cut out a lot of “players”? Or are you saying that “the tree up which we are barking” isn’t the one that will get us to the promised land? 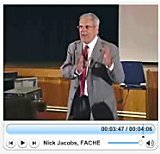 My grand father constantly used to watch YouTube funny video tutorials, hehehehehe, for the reason that he wants to be cheerful forever Quality of Care » Healing Hospitals – Nick Jacobs, FACHE.